Hundreds of thousands of humorous Chuck Norris facts have been published, traveled around the globe via the Internet, and gained an international audience of millions. Chuck Norris facts are a quirky, extremely popular Internet phenomenon that has entertained fans from all over the globe. In the last several years, Chuck Norris has been asked repeatedly from the heartland of America to the battlefields of Iraq and Afghanistan, 'Which facts are your favorites?' 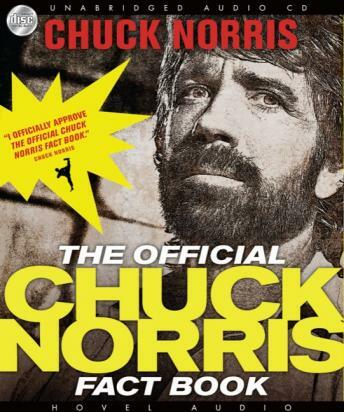 For the first time ever, in 'The Official Chuck Norris Fact Book, ' Chuck gives readers not only his favorite 'facts,' roundhouse-kicked by the man himself, but also the stories behind the facts and the code by which Chuck lives his life. Fans from every corner of the globe will enjoy both the fanciful and inspirational from one of the world's great action heroes. This book makes a perfect gift.